If you have an adventurous streak in you and love diving and fishing under water then you would definitely need a speargun or colloquially known as scuba gun. Fishing from above the water surface and fishing under water has stark differences in all sorts of ways. You need to be more agile and aggressive and would need better weaponry for hitting the right targets. 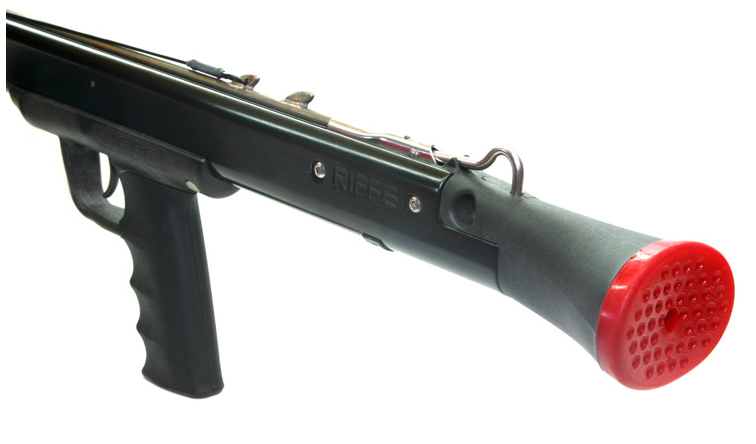 This is where Riffe Metal Tech Series 38″ Speargun comes to your rescue and gives you that added adrenaline rush. 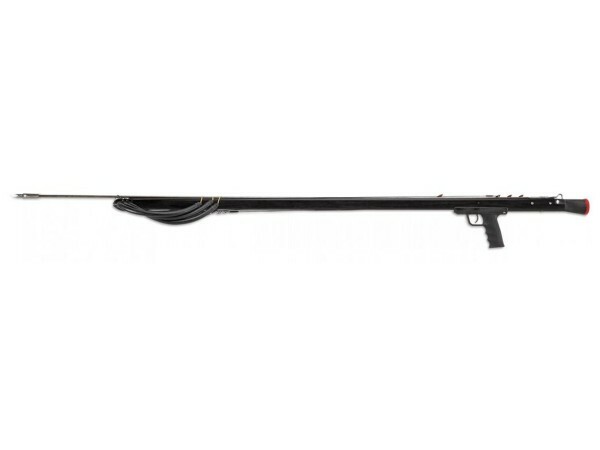 Metal Tech Series 38″ Speargun is one of a kind with its heavy duty built and it is also quite economical. 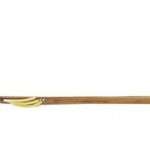 These are few features that you can expect out of this speargun. A connoisseur or just a humble user of the speargun would find most of these features quite appealing. The speargun barrel is made up of heat treated aircraft aluminium – This allows the speargun to have a heavy-duty usage. High density foam is used as fillers for more buoyancy – The first thing that you would need in under water equipments is buoyancy as it will be hard on the scuba divers if the speargun tends to sink. 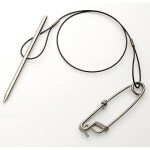 Speargun is anodized black– This gives the attractive and lustrous look. Monofilament shooting line weighing 300lb is included in the package. Handle is made of nylon which is glass filled and has cushion covering for easy grip. Locking pin technique – So that you do not have to worry about misfiring. 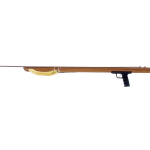 Two vinyl silencers and a polyethylene shaft slider make the speargun super-silent! 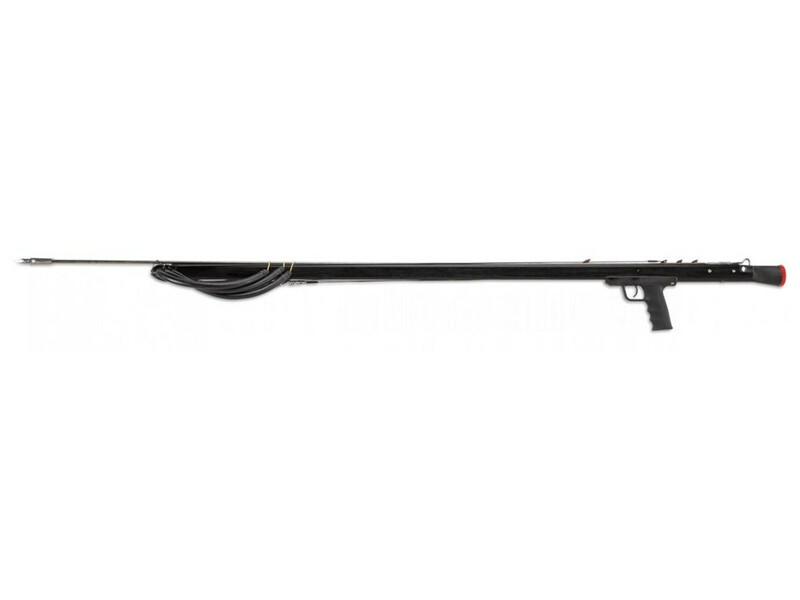 The Metal Tech Series 38″ Speargun weighs 39 pounds and has easy to carry dimensions of 40X10X4 inches. It has a 5/16”X42” threaded shaft that comes along with the gun. Large 2-barb tip pierces the target with more finesse. 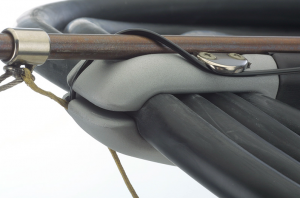 The handle is made of an over-moulded material that provides better grip and control over the speargun. 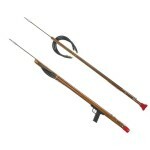 It is cheap and an economical choice for mid-handle spearguns. Its heavy – duty heat treated aluminium extruded gun barrel offers zero deflection with maximum power. Mid-handle spearguns like this are easier to manage during scuba diving. A bit heavy on the hand because of it larger size. Cannot be used for long range shootings. Riffe Metal Tech Series 38″ Speargun is perfect for scuba divers and deep sea hunters who are looking for a moderately priced but a power packed speargun.